Welcome to the Foxfield Colorado homes and real estate portal: one stop for finding single family, multi family, condos, townhomes, lots, land, residential income, and acreage real estate for sale in Foxfield Colorado. You can find homes for sale by sale types like new construction, foreclosures, and short sales or you can search for homes for sale by geographic characteristics like subdivision, school, and maps. The properties for sale in Foxfield change daily. 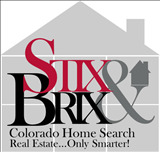 Check back often for all the latest information on homes for sale in Foxfield. The Town of Foxfield is located in Arapahoe County. Surrounding communities include Aurora, Centennial and Unincorporated Arapahoe County. Downtown Denver is 20 miles northwest and the Town of Parker is 5 miles south. Foxfield's close proximity to Denver and the Denver Tech Center, the large lot rural residential horse properties, mountain views, independent spirit, small town atmosphere and a thriving commercial district make our town a desirable place to call home. Read more about the real estate market in Foxfield.